Tangentially, is there a way to store .pdf to Files on my iOS device? Apple wants me to use iCloud, but I’d rather have them on my device. 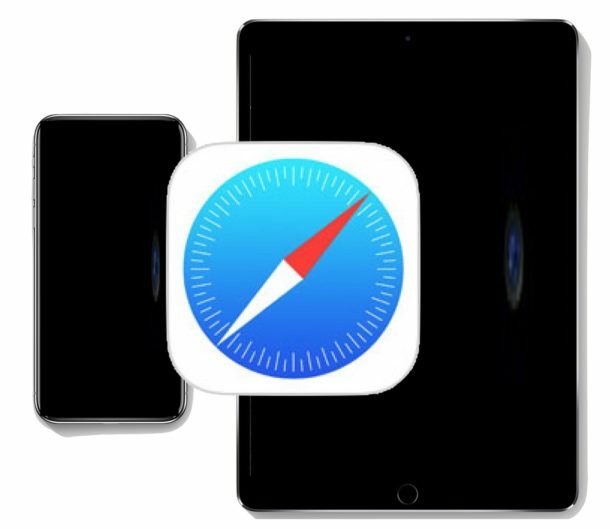 You can store files in the ‘on my ipad’ or ‘on my iphone’ location within the new ios 11 files app -if that’s what you meant to ask about- only if you have any apps installed that support storing there and have already created their own folders. Examples of such apps are Garage Band, Adobe Acrobat, Nook, and the iworks suite apps (pages, numbers and keynote). Incidentally, if you are working with pdf files you may want to download the aforementioned Adobe Acrobat. Not quite. Yes, there is a Files location named On My iMac, but it only allows creation of folders from other apps. There seems to be no way of storing a .pdf there without a folder. At that level, there’s no creation of folders not associated with an app. Right, exactly. That’s how the ‘On my [device]’ location in the files app works on iOS devices too. 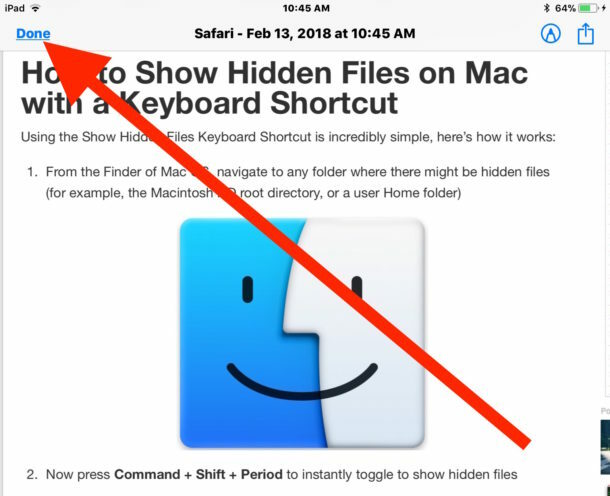 But once those apps have automatically created their own folders, you can store in those folders from anywhere in iOS such as in Safari via the ‘save to files’ button in the share sheet. And I forgot to mention this, but while you cannot create folders at root level in the ‘on my [device]’ location, you can certainly create subfolders within any of the app folders. See my response to Bprice above. Hope it answers your question. I’ve been using this method for awhile and it works well. One thing to note is that the resulting pdf file is one (often long) page, unlike the other methods which break the pdf into normal pages. Another more serious issue is that often the resulting file is truncated. The end of the original web page is cut off. I haven’t figured out yet if there is a maximum length or what. Right. 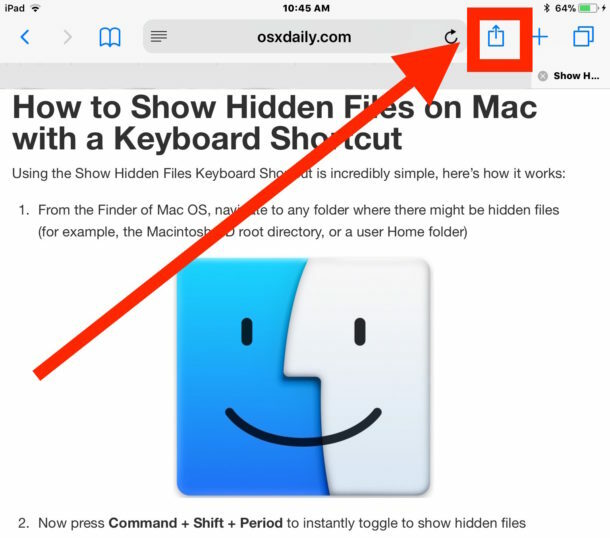 And the first two methods, which are really one and the same except for the alternative of accessing via 3D touch or pinching to zoom depending on the device used, are available from ANY app -built in or 3rd party- that supports printing. This includes 3rd party browsers such as Chrome, Firefox, etc. 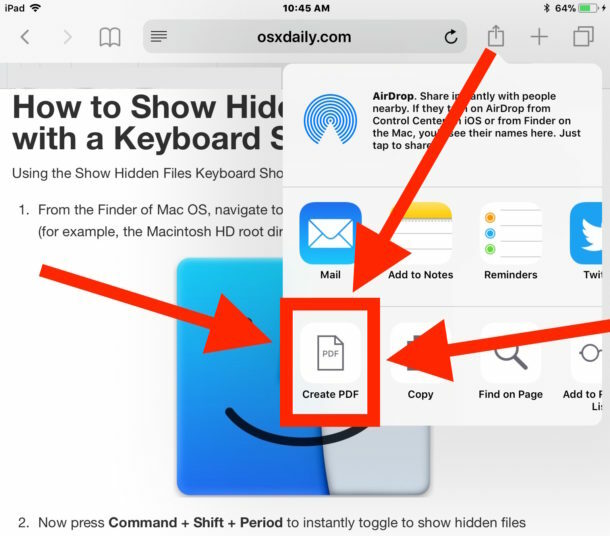 The ‘create pdf’ button, on the other hand, is only available in the built in Safari browser. 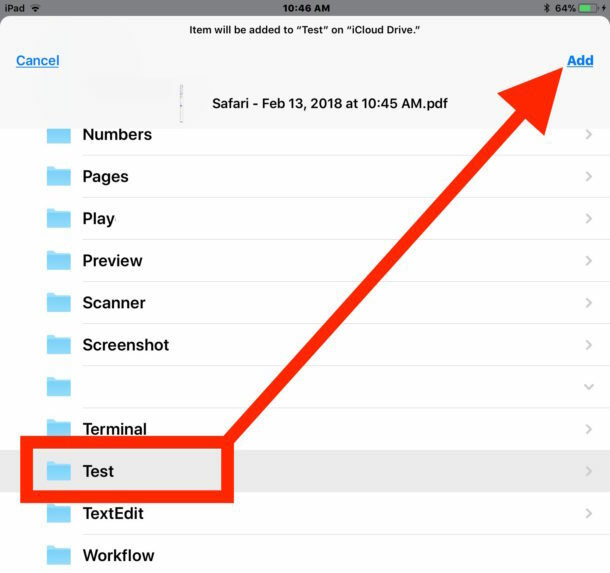 In answer to BPrice and Don Wood, anything in iCloud is in Files and if you tap on the file to view it, it’s now on your device. I just verified this by turning off Wi-Fi and cellular and I can still view the files, so they are certainly on my device as well as iCloud. You could also open the file in iBooks, Notes or a third party app like GoodReader. Is this what you meant? 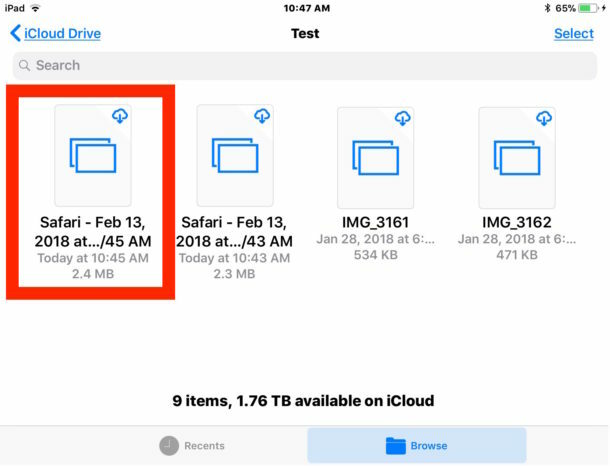 I think they meant to ask if there is a way to store files in the ‘on my ipad/iphone’ location within the new ios 11 files app, so that the files are stored on the device but without being uploaded to icloud too. And as far as I know that’s only possible if you have any apps that support storing in that location and have already created their own folders in it. Examples of such apps are Adobe Acrobat, Garage Band, Nook and the iWorks suite apps (pages, numbers and keynote). Also, the create pdf button often does a poor job in converting a web page into a multiple page document, as opposed to the 3D touch / hidden gesture trick. I learned another way to save web pages to PDF…from one of your columns! In the Sharing button window, choose the PRINT option, make an arcane swipe open gesture with thumb and forefinger, then save. The advantage is that uses the name of the web page as the name of the PDF. Still my fave way to do it. Yeah they did make a mention of that method near the end of this article too (which can also work using 3D touch instead of the zoom in gesture on an iphone 6s or later). 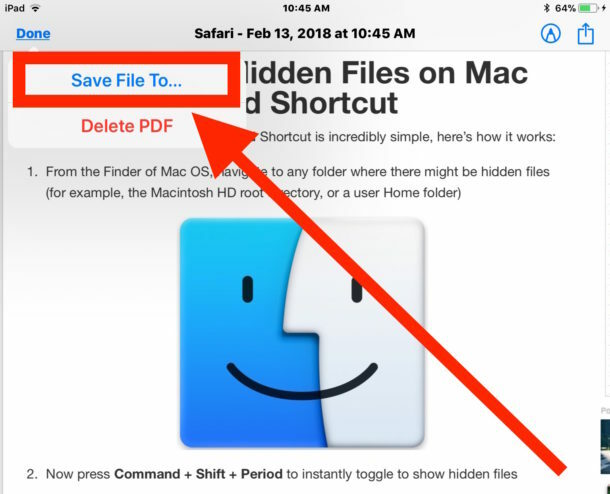 Another advantage of that method is that it is available from ANY app that supports printing (including many if not all 3rd party browsers), whereas the create pdf button is only available from Safari. Kate, this is useful. Thank you. But I do not think so have to save a webpage to PDF on iPhone ever… This feature is pointless for me. I think it’s more suitable for ipad users, who tend to work more with files and documents. Yes, you are right. iPad. I am still working with MacBook Pro and iPhone; I was a bit insular. When you demonstrate a “how-to,” consider using a webpage other than one that contains instructions for another iOS technique .” It gets confusing.